SACS has world class facilities. In terms of Information Technology in the classroom, teachers have interactive whiteboards, projectors and e-beams at their disposal. SACS now has 8 new class rooms, all equipped with the latest in media technology and wireless Internet facilities. SACS boasts a top class media and IT centre, which is air-conditioned and houses 40 computers running the latest software. An additional air-conditioned venue is used with laptops and wireless connection. The art room also has wireless connection allowing boys to make use of graphic software to complete projects. SACS has one astroturf for hockey, boasting the top flood lighting technology in the Western Cape and four rugby fields, plus an additional training field. The main cricket field has a new pavilion and players’ pavilion. There are six tennis courts, two squash courts and two basketball courts. SACS has arguably one of the best School Gyms in South Africa. A 400 square metre facility with 10 Rowing Ergo’s, 7 squat racks, 8 bench press, pull-up bars, boxing bags and numerous other equipment. It also has a massive wrestling mat. Squad training is accommodated in this large facility. There are two boarding houses at SACS, which can accommodate 135 boarders. Rosedale is the senior hostel and Michaelis is the junior hostel which accommodates the Grade 8 and Grade 9 boarders. 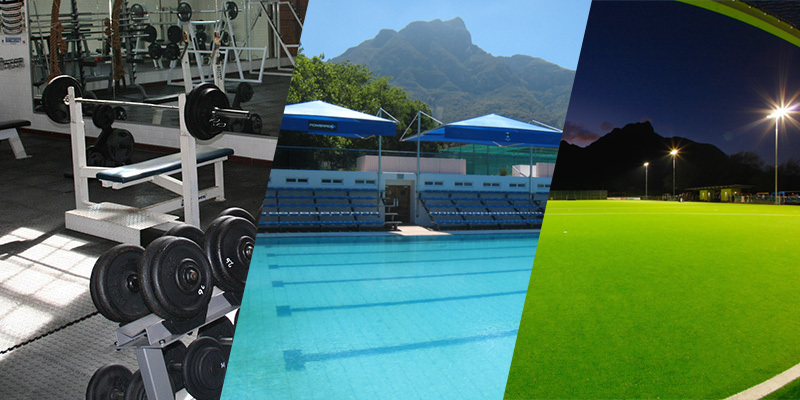 SACS senior boarding house has a refurbished and well-stocked gym. The Cricket and Multifunctional Pavilion, plus player’s facility has been built on the De Villiers field. This is a top-class facility and is also used for staff development and for other social functions. The Hockey Pavillion provides some much-needed shelter from the elements, plus provides for the table officials and a viewing gallery. It has a storeroom and has the capacity to be extended. The astro is shared with the Junior School.